Yes,this is a Philodromus, but it is juvenile and identification to species requires microscopical examination of an adult, and even then species in the 'aureolus group' can present difficulty to many arachnologists. Juveniles survive through the winter and will use good weather periods to obtain insect prey if they can. 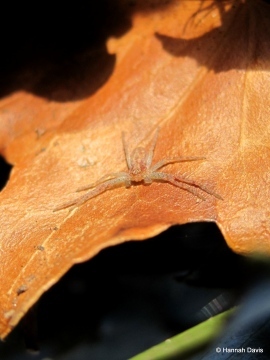 I'm pretty sure this is Philodromus, but does anyone know what species? Is it normal to see one in late December?